Rope course and adventure park full body harness. 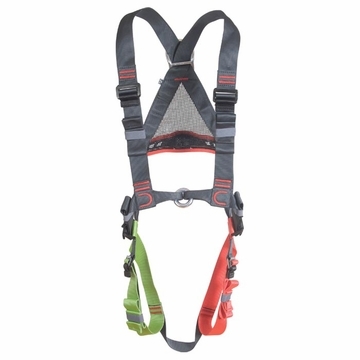 Easy to put on and take off with color coded webbing. Front attachment point is a single metal ring, making it much easier to attach correct. Rear attachment point included.